Some indiscretions of youth can sometimes hang around for a while whether or not we like them now. There they are: stretched, dangling, and distorted, swaying noticeably with movement and seeming at times to attract unwanted attention. Yes, they are a reminder of that time in your life when that “individuality” was so important or it just seemed cool or the right thing to do. Now, you are ready to move on in your life, perhaps considering advancing your education by attending college, seeking a good paying job or even enlisting in the military but your gauged earlobes are a real obstacle, continuing to attract undesirable publicity and hindering future possibilities. 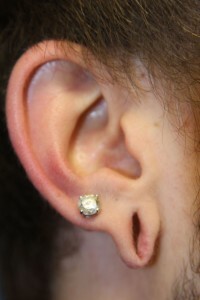 They definitely must be treated (one can’t enlist in the military until gauged earlobes are closed). 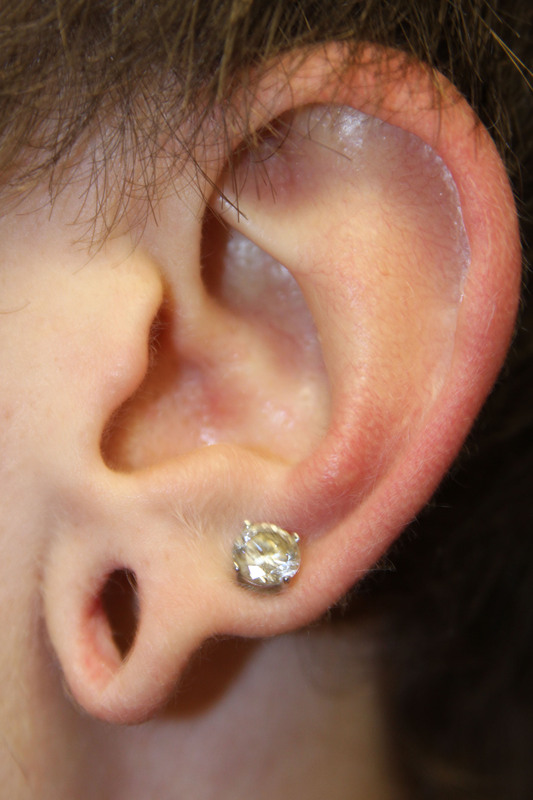 Each gauged earlobe is different but the overall concept is the same: precisely removing the stretched, thinned out and deformed tissue, creating fresh new surfaces and meticulously reconfiguring the remaining tissue to create as normal appearing an earlobe as possible. The following photos of a patient of mine exemplify the dramatic and immediate improvement that can be obtained with this procedure. 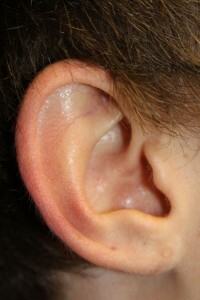 This was performed under local anesthesia in my office with no down time and no need for any pain medication. 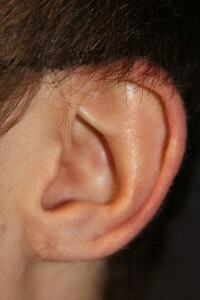 The postoperative photos seen here are after only 3 months so that you can appreciate just how normal the earlobes appear in a short time, the incision lines already being virtually imperceptible (full maturation of the area can take up to a year as is true with essentially any surgical procedure). For more information on the treatment of gauged earlobes or on any other plastic surgery procedure that I perform or to schedule your complimentary consultation with me, please call my office at 480-451-3000.